18th Century oil painting still life of flowers and fruit by the Dutch artist Jacob Xavery (b. 1736). 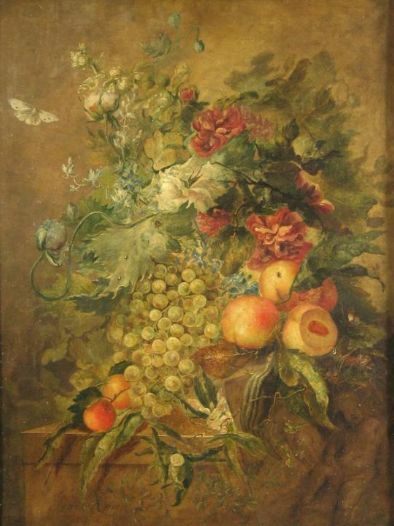 The painting features white grapes, red flowers, what looks like apricots or peaches, white flowers and a hovering butterfly. It is signed and dated 1760.